The Port of Venice has an inland waterway port. An inland navigation line connects Venice to Mantua and Cremona along the Fissero Tartaro Canalbianco navigable canal. 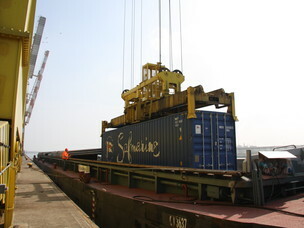 The line enables the transport of bulk and containers. Each barge can carry the equivalent of two freight trains or 60 trucks. 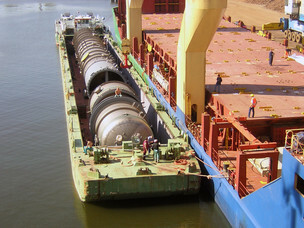 Barge transport is environmentally friendly as it helps reduce both pollution and congestion on the roads. 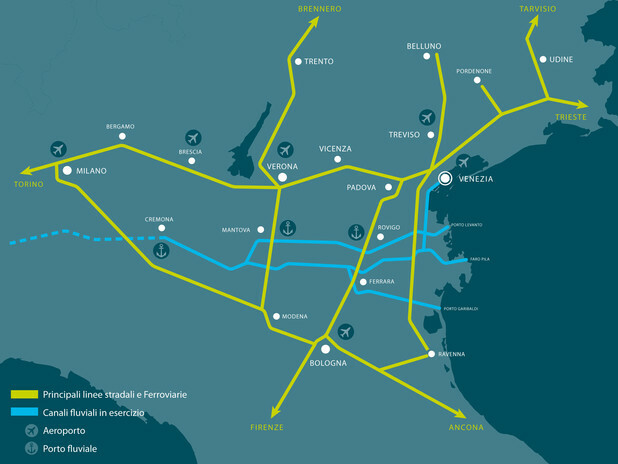 Transshipment at large from large ocean faring ships to barges, allows cargo to be easily redirected towards Venice, Chioggia and the river ports of Cremona and Mantua. The canal is navigable year round up to Mantua, and 250 days a year to Cremona.